Wondering what it’s like to partake in our immersive, community-engaged courses? Take a look at the daily schedule for the Nepali and Tibetan sections below! 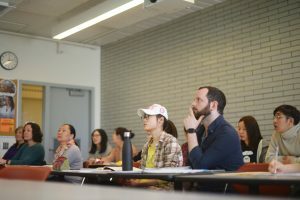 We’re pleased to share with you a series of posts about the Tibetan and Nepali language courses that were taught in May 2018 in a new, 3-credit model that blends classroom and experiential community engaged learning. 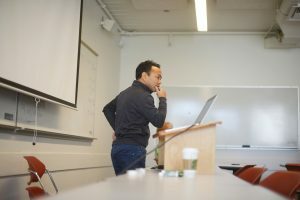 Alongside the classroom instruction given by Binod Shrestha (Nepali) and Sonam Chusang (Tibetan), students spend extensive time engaging with Himalayan communities outside the classroom. Not only do students practice their oral language skills, but they also learn about the cultures and concerns of the Nepali and Tibetan communities in the Vancouver area and beyond. 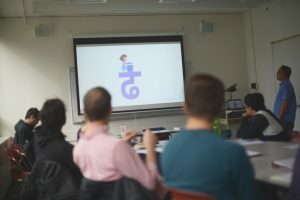 Follow our Facebook page over the course of the next few weeks to learn more about what students did over the course of these 2-week long courses. Monday-Friday: Classes from 9:00-12:15PM, taught by Mr. Binod Shrestha. Born and raised in Nepal, our Nepali language teacher Binod holds a master’s degree in English Literature, a Bachelor’s degree in Education, and a Diploma in Education from the University of British Columbia. Binod realized the need to impart Nepali language pedagogically, and apart from authoring the book “Communicating in Nepali Language,” he accomplishes this through teaching Nepali for courses like ours. 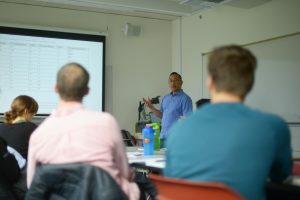 In his course, Binod taught everyday phrases, grammar structures, and vocabulary, as well as guided students through field trips to places such as Spice of Nepal and the Thrangu Monastery, which is featured in later posts. For the last of our Nepali in-classroom language posts, we’ll turn to two guest speakers who were featured in the first week of class. The first was Mark Turin, who is a member of the Himalaya Program Steering Committee and Associate Professor of the UBC Anthropology Department. Mark Skype’d into the class on a Tuesday morning and provided some insight into the immersive way he learned Nepali while working in Nepal. Among other recommendations, Mark suggested students learn how to tell a joke in Nepali! The second speaker was Shushil Nepal, who is a Graduate Student in the UBC Faculty of Forestry in the Forest Measurement and Biometrics department. Shushil came in and discussed his experiences with learning English, Nepali food, and even discussed some concepts he can’t quite express in English. Thank you for your time, Mark and Shushil! A highlight for both the Nepali and Tibetan classes was the opportunity to visit two monasteries during the community engaged portion of their language courses. Learn about their experience below! 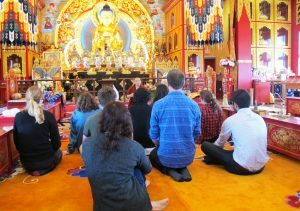 In the Nepali class, students went to Thrangu Monastery in Richmond. This monastery is home to many Nepali-speaking Tibetan Buddhist monks. Students took time to discuss Buddhism with monks and others at the monastery. Among other things, they talked about family, religious practices, and shared a meal together. Students ended the Intensive Nepali Language & Community Engaged Learning course with a dinner with a Nepali host family. Like the other trips planned for the Community Engaged Learning portion of the course, students were invited off-campus to learn more about and engage with the community they were studying. 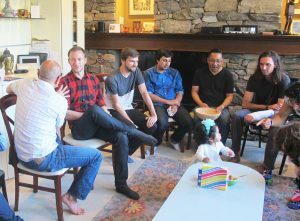 Hosts Kamla Bajracharya and Peter Eijsberg welcomed students of the Nepali course to their home and engaged in a variety of activities with them ranging from identifying and naming Nepali food items all the way to discussing the familial relations of students and their hosts. Thank you for welcoming us into your home, Kamla and Peter! Monday-Friday: Classes from 9:00-12:15PM, taught by Mr. Sonam Chusang. Sonam was born in Amdo, in eastern Tibet, but went to school in Dharamsala, India, where much of Tibet’s exile community lives. As such, he can speak both his native Amdo Tibetan and Standard Tibetan. Sonam moved to Canada in 2001 and has since created an online website for learning Tibetan as well teaching Tibetan at the University of British Columbia and other sites in the Lower Mainland. 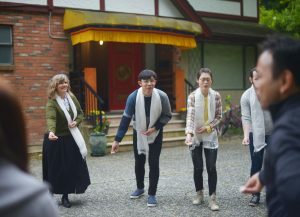 In the Tibetan Intensive course, Sonam introduced students to speaking and writing Tibetan along with visits to places like Vancouver’s Tsengdok Monastery and inviting members from Song and Dance group Lhaksam Metok to the class. 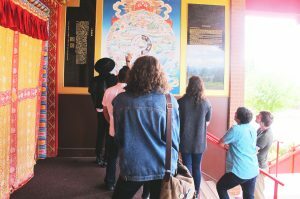 In the Tibetan class, students spent time at Tsengdok Monastery on Granville Street in Vancouver. Led by Tsengdok Rinpoche, class members engaged in conversations about the role of Buddhism in today’s world, the similarities and differences in Canadian and Tibetan culture, took part in a Fire Puja ceremony, and ate Tibetan momos together. Thank you for your generous time and conversation, Tsengdok Monastery and Thrangu Monastery! 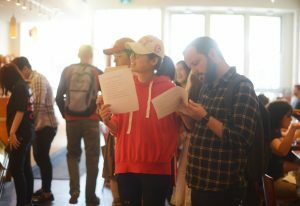 The Tibetan students’ first out-of-the-classroom learning experience was at Terra Breads in Kitsilano. Not the first place you’d expect to go and speak Tibetan outside the classroom? You’d be surprised, like many students were. 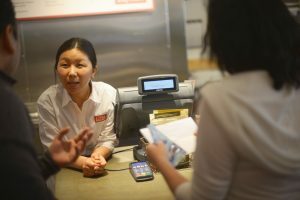 There are many people who speak Tibetan working at Terra Breads, which meant that students got the opportunity to order food in Tibetan too. 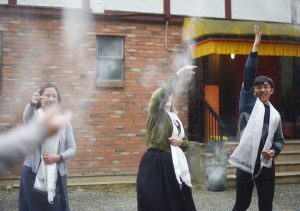 At the bakery, students also met with other members of the Tibetan community in Vancouver to practice their conversational Tibetan as well as learn about different facets of Tibetan culture and identity. Thanks Terra Breads for your patience and willingness to serve us! 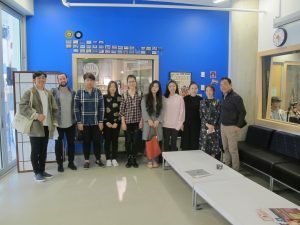 In the latter section of our Tibetan language courses offered in May, students visited UBC’s CiTR Radio 101.9FM station to record the Tibetan folk song Samling Gompa. This also coincided with CiTR’s Asian Heritage Day. Follow this link to listen to the clip. Special thanks to Alex de Boer, a 2017 alumna of our Tibetan summer language course and UBC journalism grad student for organizing this opportunity! The arts are vital building blocks for any culture. The Tibetan class was lucky to experience 3 different interactive performances for students to learn from: in-class visits from the Lhaksam Metok Song and Dance Group (song and dance), and Gen Ten Jampa and Gen Tsepak (dance), and off-campus visits to the studio of Kalsang Dawa (painter). 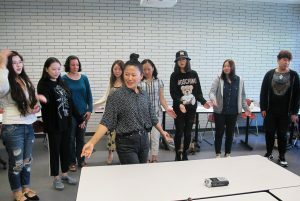 From the Lhaksam Metok Song and Dance Group, Acha Tsering and Acha Yangkyi taught students lyrics and notes from the Tibetan song PhuyiSamLing Gonpa in the classroom. The next week, instructors from the same group came to class to teach students the dance that accompanies Phuyi SamLing Gonpa. Chaos ensued, smiles erupted, and students learned more about an important facet of Tibetan culture. Later in the second week, students took a trip to the residence and studio of Kalsang Dawa. Kalsang Dawa is Tibetan artist and painter who uses visual art for “healing, self-awareness, and interpersonal connection”. 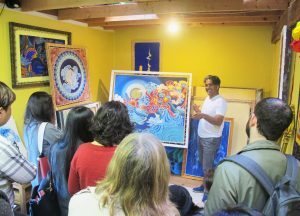 At his studio, students learned about the processes behind traditional Tibetan Buddhist painting. Thank you to Kalsang Dawa and the Lhaksam Metok Song and Dance Group for taking the time to teach us about the artistic traditions in Tibet! 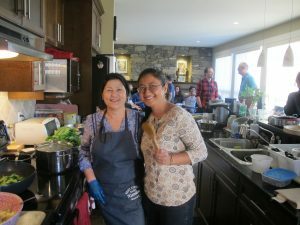 To cap off the Intensive Tibetan Language & Community Engaged Learning course, students were invited to dinner at the Tibetan Transition House in Burnaby, BC. 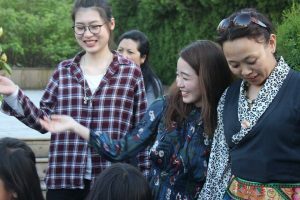 Alongside the food, members of the class had the chance to meet and talk with refugees who had recently arrived from Tibet using some of their newfound Tibetan language skills. Finishing the night was a dance from the Lhaksam Metok Song and Dance Group, with some students joining in too! 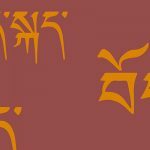 This is the final recap for our Summer 2018 Tibetan and Nepali language courses. We appreciate you following the updates and hope you stay tuned for more information about courses, events, and speakers for the coming academic year! To receive up-to-date information about our courses and programs, please sign up for our mailing list. 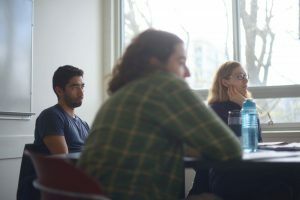 These courses are supported by the Faculty of Arts Dean’s Office through a Teaching and Learning Enhancement Fund grant, and a grant from the Centre for Community Engaged Learning.